ASTRID2 is the new third-generation low-emittance light source at Aarhus University, Denmark. Commissioned in 2013, the facility provides state-of-the-art high-brilliance light from the low-emittance electron beam, operating in top-up mode to give an infinite beam lifetime. The ASTRID storage ring was a second generation synchrotron radiation source, which started operation in the early nineties and is now used solely as a booster for the new ASTRID2 ring. Many of the beam lines from ASTRID have been upgraded and transferred to ASTRID2 and two completely new beam lines have been constructed and are now in operation. A new beam line, AU-SGM4, is currently under construction. Photons are available from the infrared to soft x-ray regime, and beam lines and end-stations cover use in areas from biology to physics. Techniques include, for example, linear/circular dichroism for molecular biology and angular resolved photo emission spectroscopy. The ISA laboratory, which amongst other things operates the ASTRID2 facility, is part of Aarhus University. Around 150 scientists use the light source annually with about half coming from abroad. A user selection panel assigns beam time to selected proposals once per year, based on scientific merit. Filling Pattern Uniform, working on single bunch operation. We expect the next submission deadline to be in November 2019. Please visit the ISA website for more information. 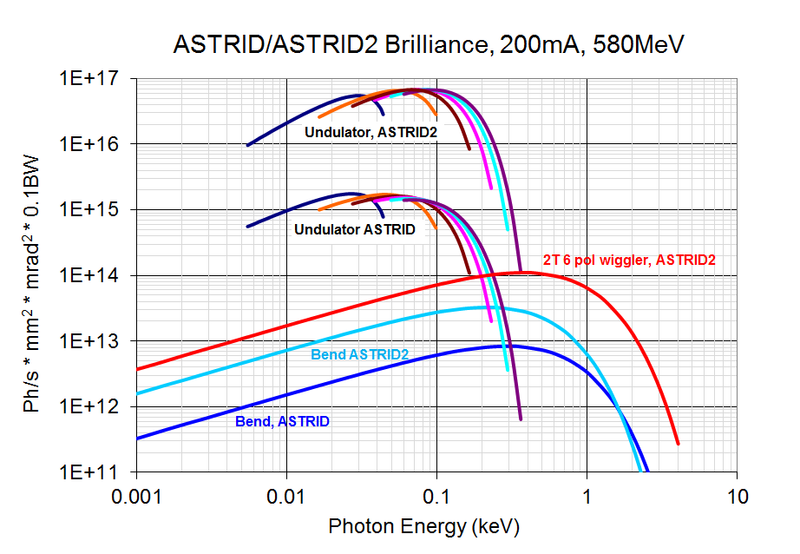 If you would like to submit a proposal for beam time on ASTRID2, please visit the link below to view the instructions for submission.